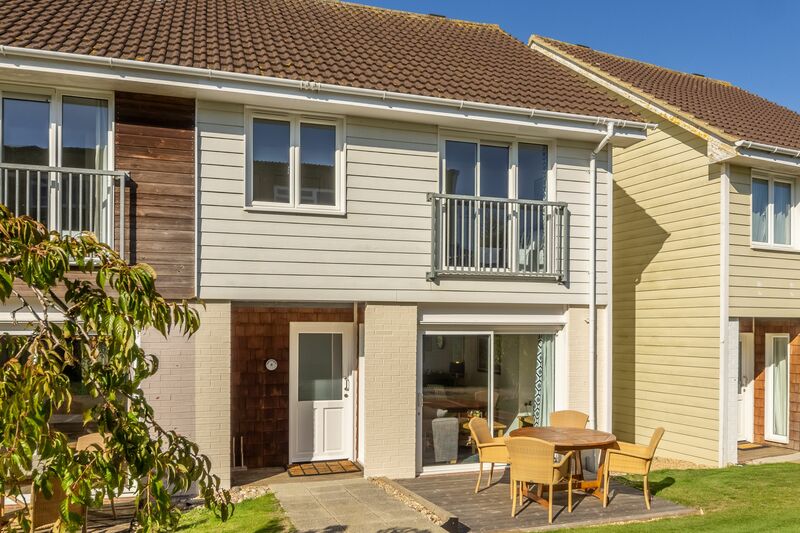 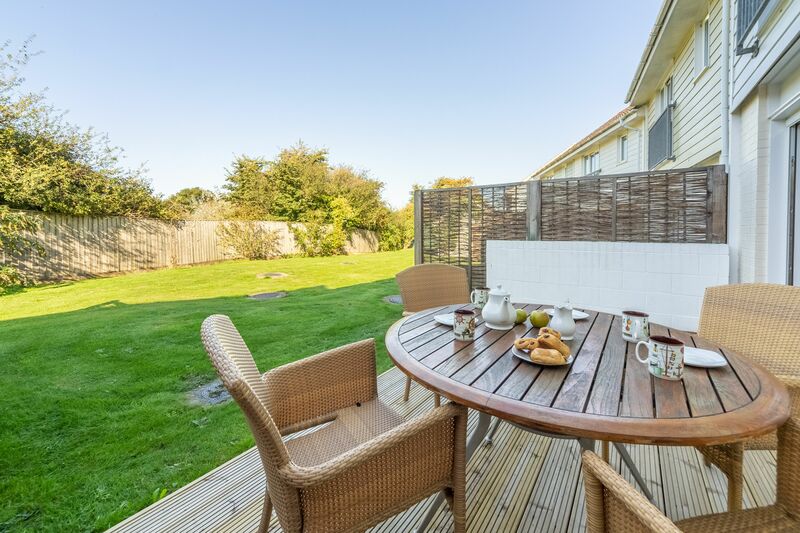 This three-bedroom and two-storey property is ideal for families looking for a holiday that they can all enjoy. 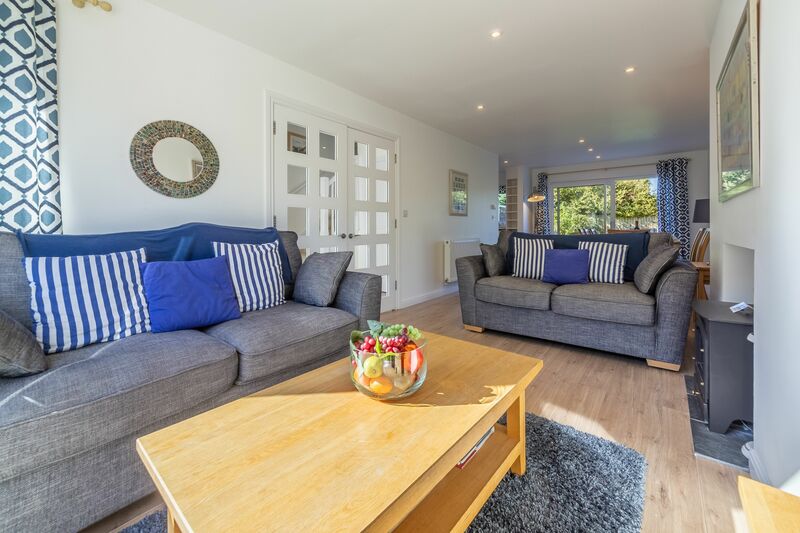 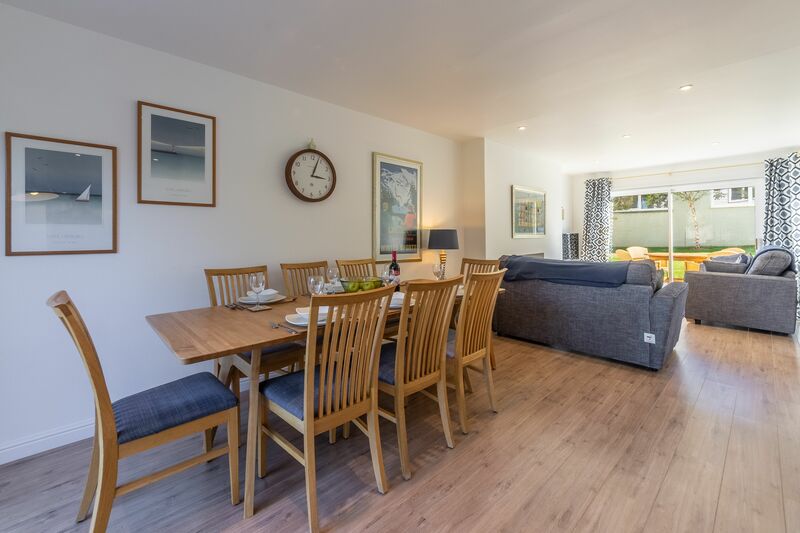 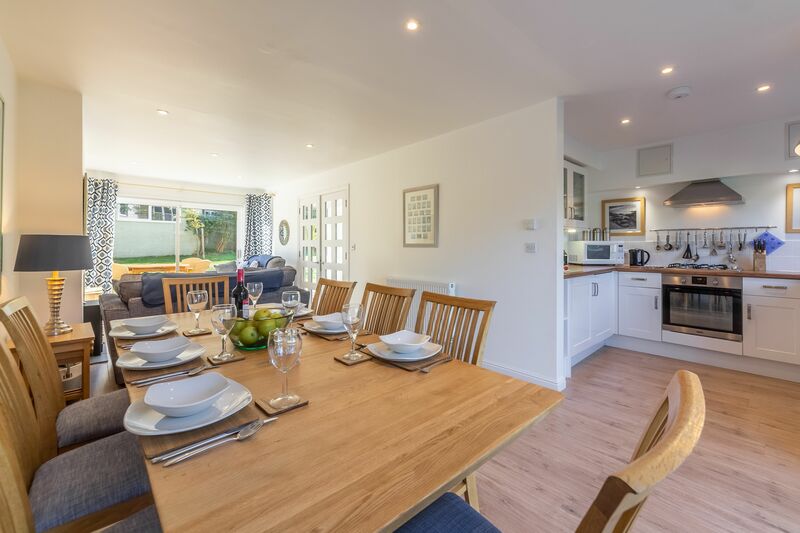 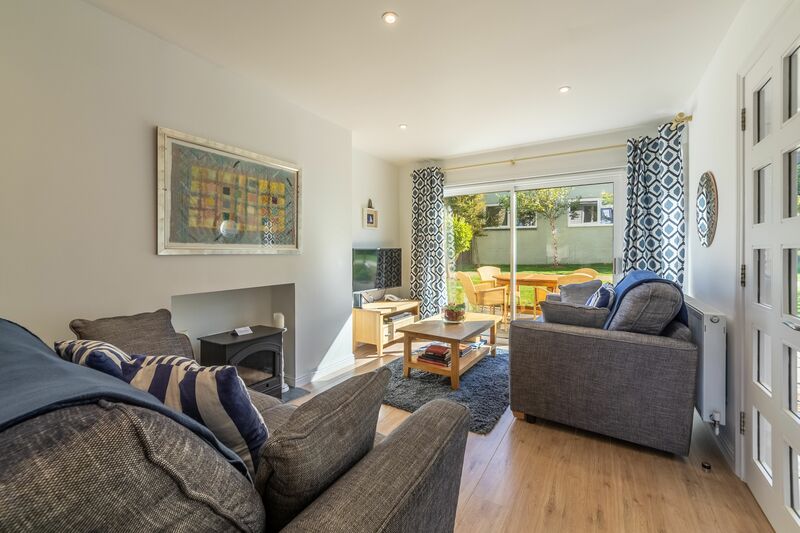 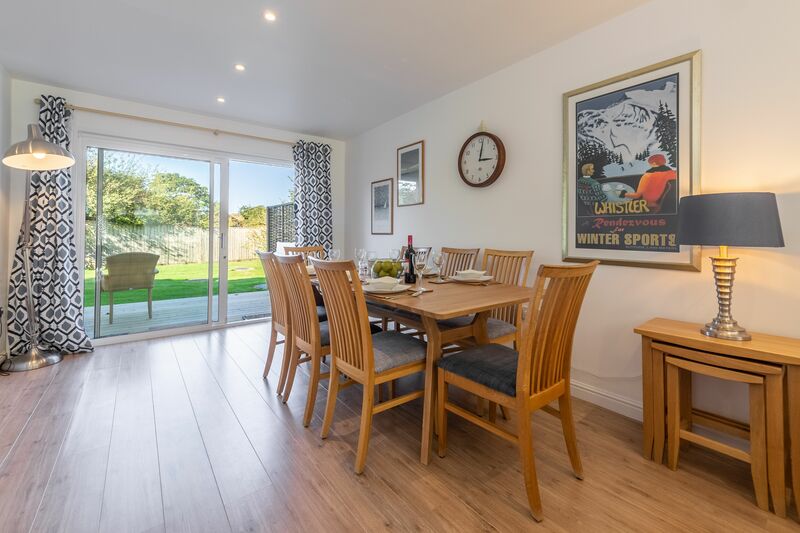 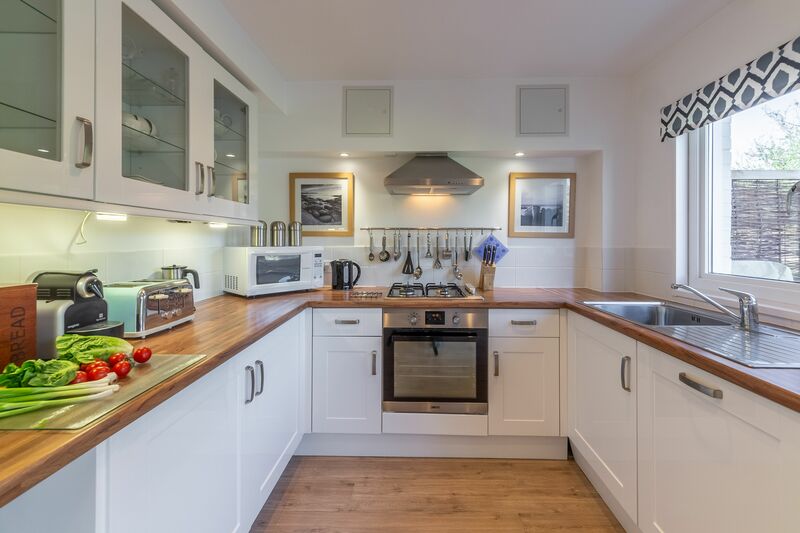 The large, open plan living area has a well-equipped kitchen with a Nespresso coffee machine, cosy living area with a working electric heating stove , Smart TV,DVD player Bose Sound Touch 10 sound system and a dining table and chairs too. 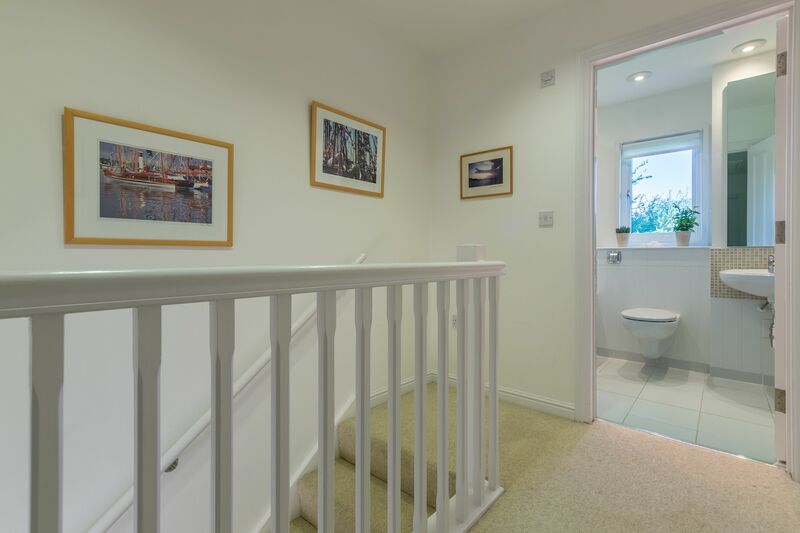 You’ll find glazed doors leading out onto decking areas at both ends of the house. 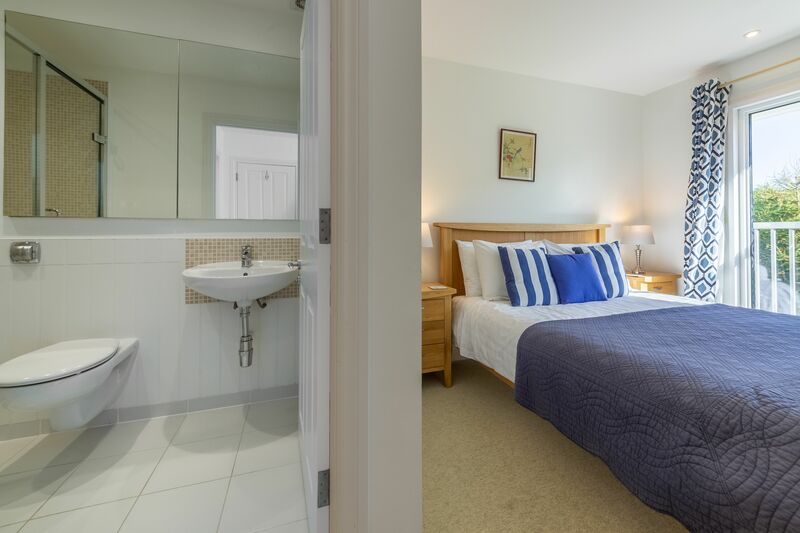 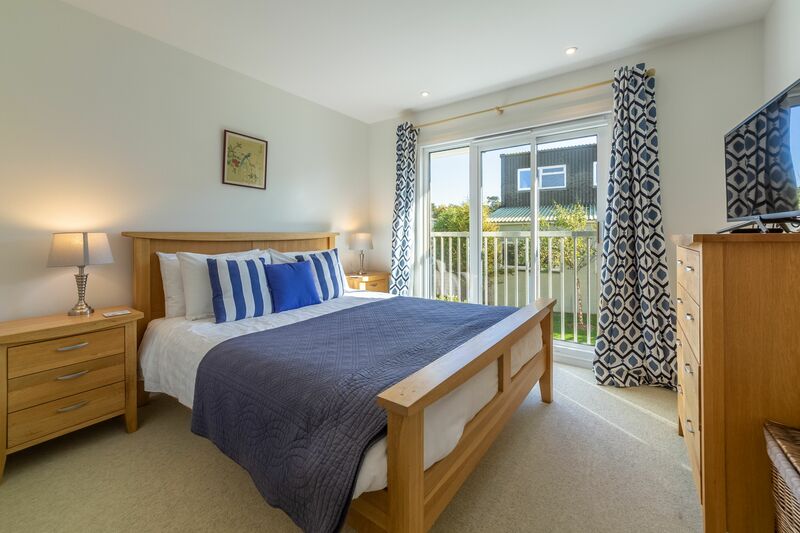 Upstairs, the large master bedroom has a king size bed and en-suite shower room, Smart TV, as well as a window with balcony railings. 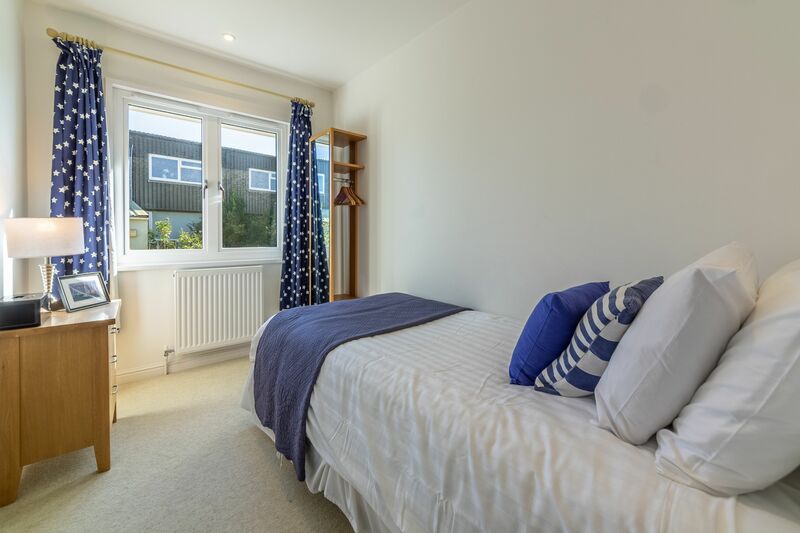 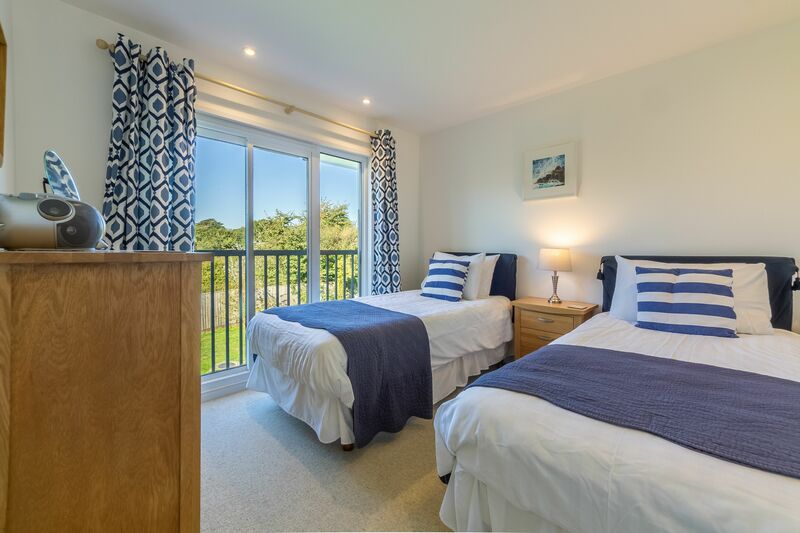 The second bedroom also has balcony railings and twin beds, while the third bedroom has a single bed. 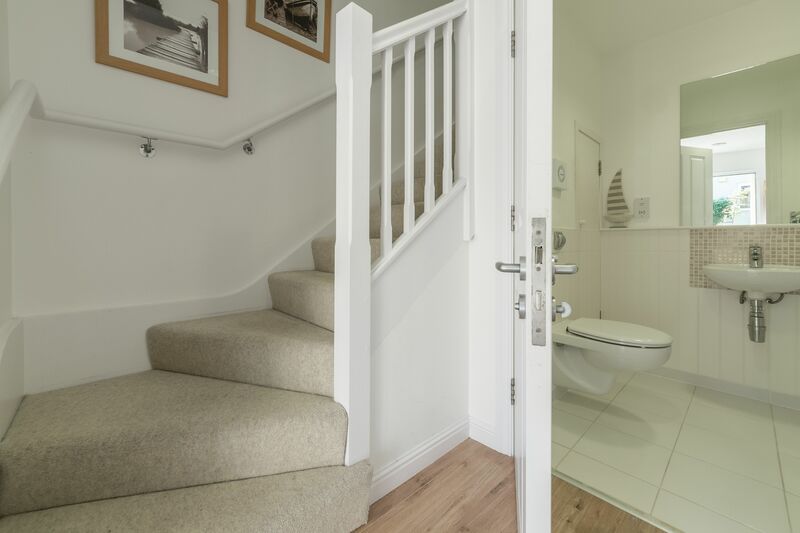 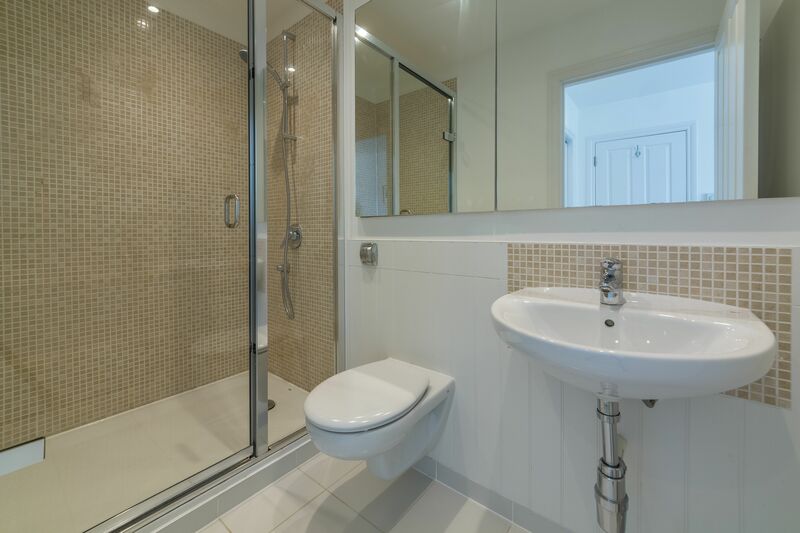 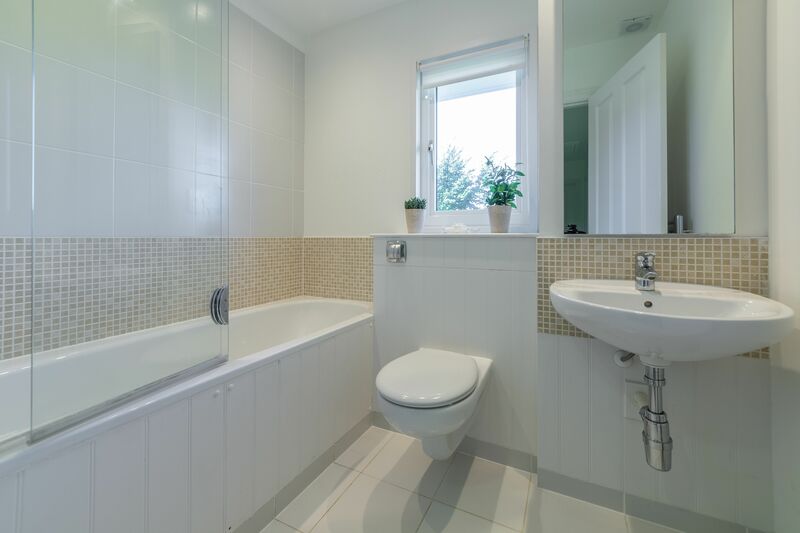 The family bathroom, along with a bath with shower over, and there’s also a separate cloakroom downstairs too. 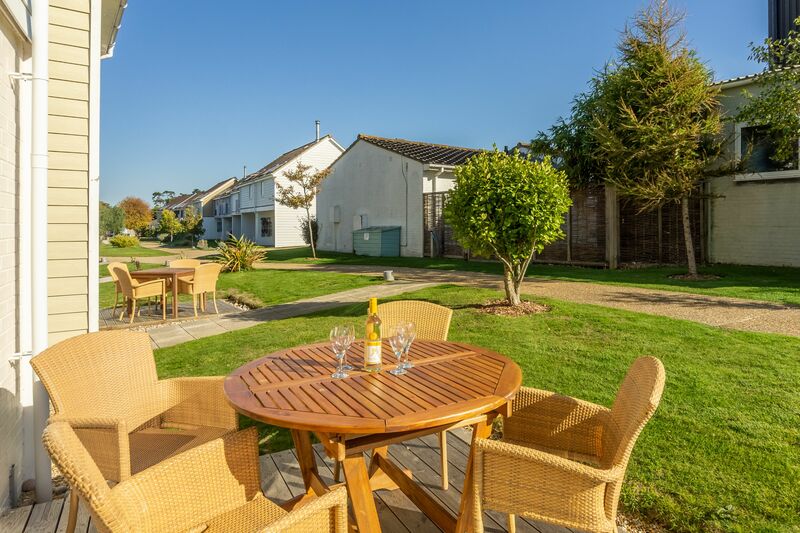 Ideally located close to the amenities,but in a quiet spot with fields behind, this could be the setting for a family holiday to remember.